It definitely takes more than just brains to start out as a doctor and emerge as a successful entrepreneur in healthcare. It seems that Edson de Godoy Bueno has found the elixir for success, but he surely didn’t inherit any of it. His humble beginning as the son of a truck driver didn’t stop him from becoming a doctor and owning his own company. 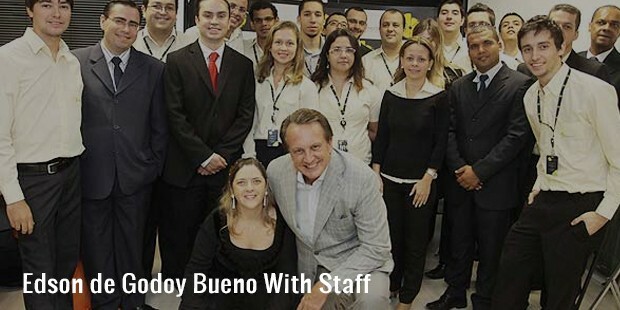 He is the CEO of his own dream company Amil, headquartered in Rio de Janeiro, Brazil, that has set up several hospitals for providing health care and dental services to thousands of people in Brazil. It was long after he founded Amil that he envisioned a colossal project and merged with UnitedHealth to provide enhanced health care plans. As a teen, at the age of 14, Edson fancied becoming a doctor, pursued his dream and realized it by bagging his degree from Universidad Federal do Rio de Janeiro. It was before he graduated in 1971 from medical school that he bought a clinic to practice in, but it was not without a struggle. Later he went and got another degree of specialization on General Surgery from Hospital da Santa Casa, in Rio de Janeiro. This ambitious doctor didn’t just limit his academic journey to general surgery, but instead went to the business school in Rio, Pontifícia Universidade Católica in 1975 and Harvard Business School in1977. The early years of Edon de Godoy Bueno showcased his entrepreneurial mindset. After this doctor bought his first hospital in 1971, he co-founded Amil Participacoes with his ex-wife Dulce Pugliese de Godoy Bueno in 1975. Although Bueno had attended business school, he never lost touch with his dream and this kept him anchored to health care even in business. He is the chairman of the board and CEO of Amil Participacoes, and founder and chairman of Amil Assistencia Medica Internacional which he founded in1978. 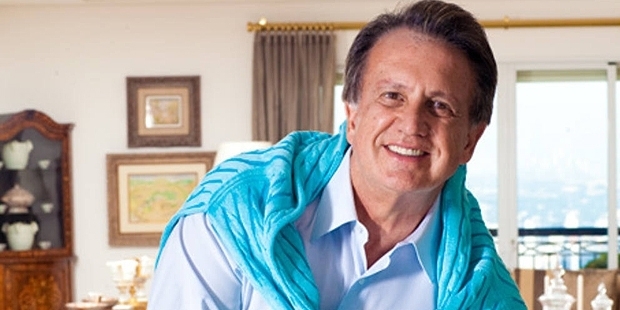 When Amil turned out to be the largest health care company before 2012, Mr Edson convinced UnitedHealth Group to purchase 90% of Amil’s stake to ensure the Amil executed bigger and better Brazilian Health care projects, which was what he stood for all these years. 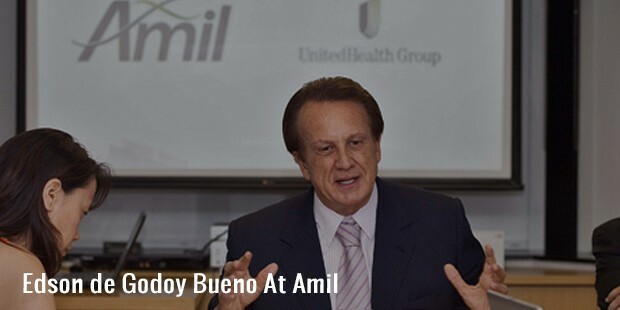 After UnitedHealth Group acquired 90% of Amil’s stakes, the Buenos retained the rest 10% and Amil still had Edson de Godoy Bueno’s leadership as CEO. Apart from getting Amil started back in1975, he later went on to become a board member of UnitedHealth Group Inc. in 2012. Later the Buenos became shareholders of one of the largest laboratory chains, Dasa in America. 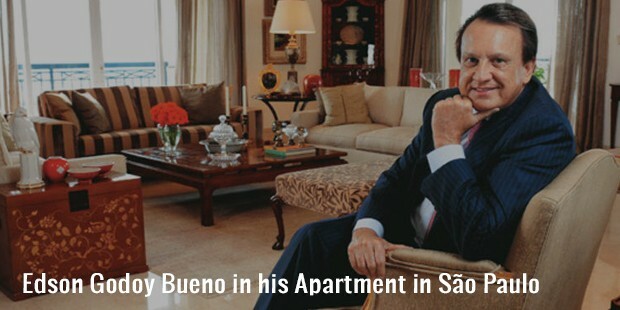 If only success could be measured with money; Mr. de Godoy Bueno’s lifetime achivements as a successful doctor and shareholder would be much more than his current net worth, which is $2.2B. 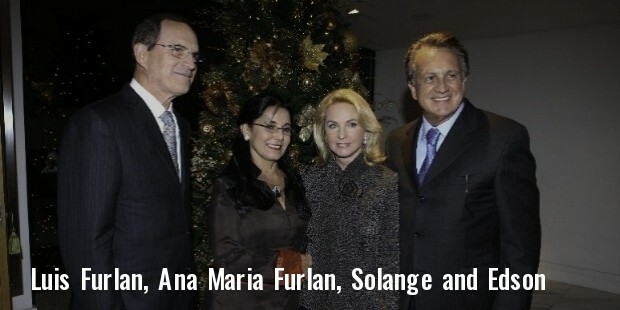 No wonder, he ranks as #782 on The World’s Billionaires, Forbes, 2015 as a Doctor and shareholder in Dasa and Amil. In a nutshell, this doctor come self-made entrepreneur knows what it goes into making your dream career a reality.